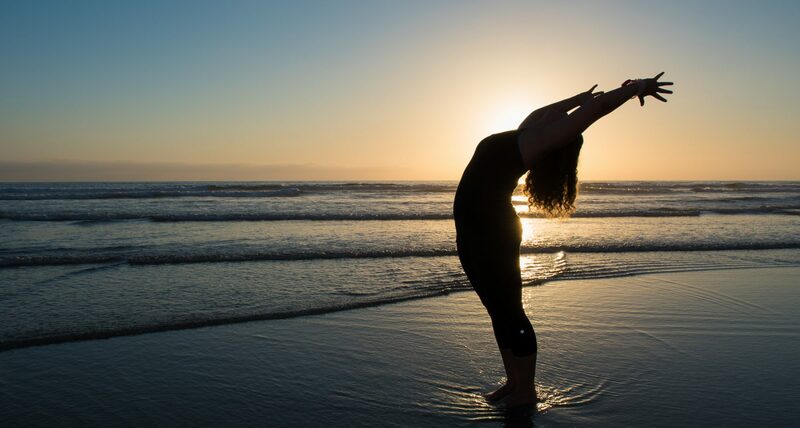 Yes, the weather is changing, nights are longer, and cooler temperatures surface with less sunshine… Now buy some local produce, and get cooking some warm healing foods to balance your body and soothe your soul…..
T he cooler months are prime time for winter squash. Pumpkins may get all the glory at Halloween, but there are many other versatile, vividly colored, flavorful, and nutrient-packed varieties to brighten up fall and winter meals. Sweeter, denser, and more firm in texture than summer squash or zucchini, winter squash take well to a wide spectrum of seasonings and can be true crowd-pleasers in warming soups, casseroles, risotto, lasagna, and even desserts. The term winter squash is a bit of a misnomer: Harvested in the fall, these hardy vegetables will keep well through the cold winter months for which they’re named. Chances are that sugar pumpkins, acorn squash, and butternut squash are the most readily available types at local supermarkets. Others, such as spaghetti, buttercup, and red kuri, are worth seeking out at farmers’ markets, health food stores, or specialty shops. 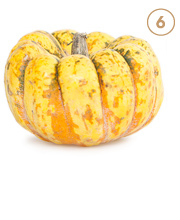 Regardless of the type, to get the best quality, select winter squash that are blemish- and bruise-free, with an intact stem and heavy feeling for their size. 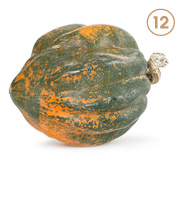 Naturally low in fat and calories, the winter squash family delivers significant nutritional benefits. For example, one cup of baked butternut squash is rich in vitamins A (from beta carotene), B6, C, and E, as well as magnesium, potassium, and manganese. Flavors are generally mild-to-sweet, so squash won’t overwhelm other ingredients and can easily be incorporated into your seasonal cooking. The orange and yellow flesh helps brighten dishes—a definite bonus, especially in the colder months, when variety and color can be hard to come by in seasonal produce. And don’t be daunted by winter squash’s size, heft, and tough exterior; in fact, you can sometimes find popular varieties like butternut in stores already peeled and cubed. Use our recipes to transform the flesh into something sweet or savory, and you’ll know that it’s well worth the effort! Characteristics: The squat, green kabocha—the Japanese word for squash—has a nutty, earthy flavor with just a touch of sweetness. 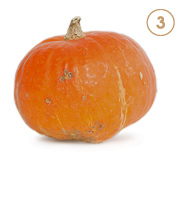 It’s similar in shape and size to a buttercup squash, but the base points out and not in. Characteristics: The red kabocha is squat, like its green counterpart, and has faint white stripes running from top to bottom. 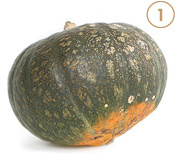 While the green kabocha is relatively savory, the red kabocha is unmistakably sweeter. 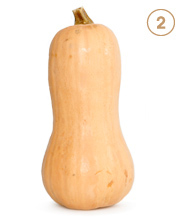 Characteristics: Breed an acorn squash with a sweet dumpling squash, and you get a carnival squash. 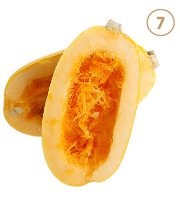 While the carnival squash’s exterior resembles both of its relatives’, its yellow flesh is mellow and sweet. Use it wherever acorn squash or butternut squash is called for in a recipe. 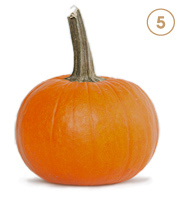 Characteristics: If your Halloween pumpkin was small and squat, chances are it was a sugar pumpkin. 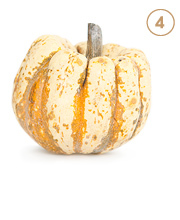 But more than just decorative, sugar pumpkins are prized for their classic pumpkin flavor, as well as for their thick and flesh-packed walls. If you’d like to opt out of canned pumpkin for your baking and make your own purée instead, reach for a sugar pumpkin. Characteristics: Take a fork to the inside of a cooked spaghetti squash, and you’ll understand how this variety got its name. By scraping the flesh, you’ll get “strings” that closely resemble noodles. If you’re in search of a healthy pasta alternative, try this very mild-tasting squash. 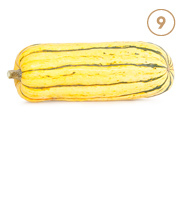 Characteristics: This particular winter squash, with its pale yellow shading, most closely resembles its summer squash cousins. The thin skin is edible, but also more susceptible to bruises and rot. When cooked, the delicata has a consistency similar to that of a sweet potato—creamy and soft—although the flavoring is a bit more earthy. For a decorative effect, take advantage of this squash’s ridges by slicing width-wise to create scalloped circles or halves; small- to medium-size delicata work best. 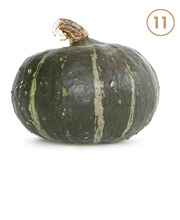 Characteristics: Compact and green with paler green striations, the buttercup can closely resemble a kabocha squash. Its distinctive bottom with a circular ridge, though, gives it away. On some, the ridge may surround a more pronounced bump, or “turban.” A freshly cut buttercup may smell like a clean, fragrant cucumber, but once cooked, its orange flesh becomes dense, a bit dry, and very mild. 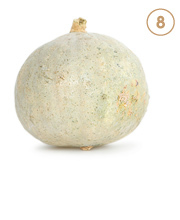 Characteristics: This mildly flavored squash is named for its acornlike shape. 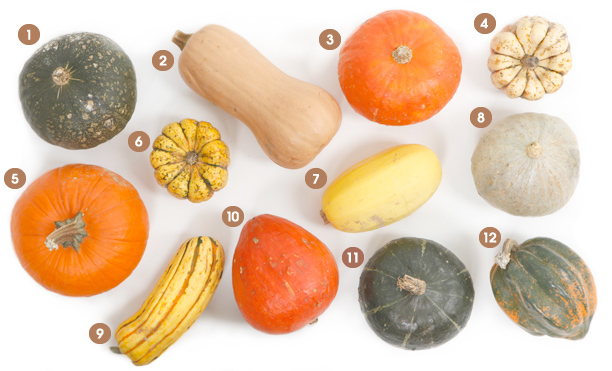 Choose one with a dull green rind; an acorn squash that’s turned orange will have tough and fibrous flesh. Next postFood Allergies – What’s ‘Normal’?